If you’re using the official Twitter app for Android, your profile just got a little bit better. 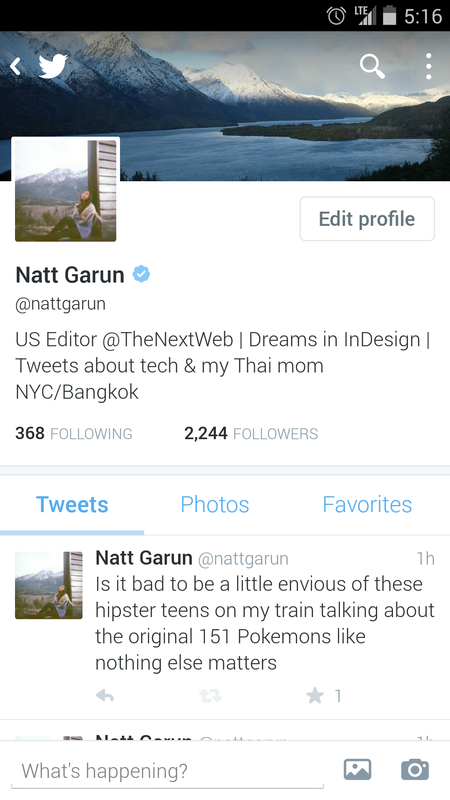 Today Twitter announced it’s rolling out new profiles for Android. The new profiles features larger avatar and header photos and you no longer have to swipe to see a bio on a profile. The update also adds infinite swipe of tweets to profiles pages so you don’t have to tap the View More button anymore. You can also access Favorites and Photos from anywhere in a profile.